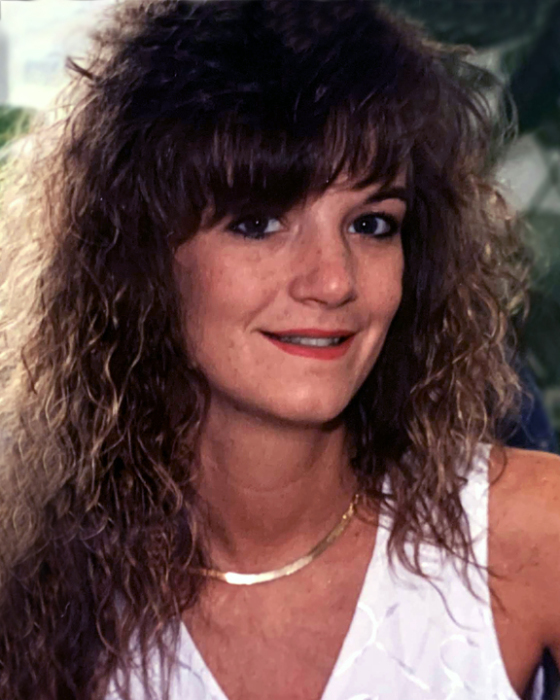 Kristie Ann Austin, age 45, of Burnsville, passed away on Thursday, January 17th, 2019 at her home surrounded by her loving family. A native of Buncombe County, she was a daughter of Royce and Shelia Laws Austin. She was preceded in death by her maternal grandparents: Grant and Kate Laws; uncle, Gary Laws, who Kristie loving referred to as "Uncle Bug" and paternal grandparents: Zeke and Eloise Austin. Kristie adored her family and friends and loved planning get-togethers where they could all spend time together. Her other joy in life was listening to music. Surviving in addition to her parents, Royce and Shelia are her children: Daulton L. Peterson and wife, Haley and Landria F. Peterson all of Burnsville and Braylon L. and Caden G. Gilpin of Ohio; brother, Randy Austin and wife, Debra, of South Carolina; grandchildren: Lexcie, Skyler, Abigail and Hudson; special aunts: Deborah "Bubbles" Thacker and husband, Bill, and Rhonda "JoJo" Ledford and husband, Larry, and uncles: Carlie Laws and wife, Geraldine and Jerry Laws, with whom Kristie had a special bond. Several nieces, nephews, cousins and friends also survive. Funeral services will be held at 7 p.m. on Sunday, January 20th in the Chapel of Yancey Funeral Services. Rev. Royce Ball and Rev. Ronnie Whitson will officiate. The family will receive friends from 5:30 until 7 p.m. prior to the services at the funeral home. Private graveside services will be held in the Deyton/Laws Cemetery. The family would like to express their appreciation to Laura Young and all the staff of Hospice of Yancey County. And a very special "thank you" from the family to Anita Willis with Hospice for her unwavering and dedicated support, her compassion and care to Kristie and her family, and for being Shelia's rock. "Words cannot express our gratitude, Anita. We would have been lost without you". Flowers are appreciated or memorial donations may be to Yancey Hospice at 856 Georges Fork Road, Burnsville, NC 28714.